Our Beers are all 'real ales' and are brewed using the finest ingredients - local East Anglian malts and British hops. Our water is drawn from our own deep source within the chalk layer way below St. Peter's Hall and is ideal for brewing. We brew 'traditional' beers - bitters, mild etc. - as well as some more unusual beers such as honey porter and fruit beer. Even these, however, are not really 'exotic' at all as it was common practice up to the Nineteenth Century to add fruits and honey to beers to create special seasonal brews. Thus blackcurrant and gooseberry beers would be brewed when soft fruits were readily available while at Christmas-time dried fruits, spices and orange peel would be added to create a special Christmas Ale. ABV 4.6%: "Organically produced" Roasted grain nose has a smoked ham note. ABV 5.9%: Rich, dark, aromatic, creamy stout. Fuggles and Challenger hops plus a blend of 4 local barley malts create an aromatic, strong, dark chocolate cream stout with a satisfying bittersweet aftertaste. Old-Style Porter ABV 4.8% Blend of young light and mature dark ale. ABV 4.8%: Pale Malt, Goldings & Challenger hops. ABV 4.2%. Gluten free beerSorgham beer is a gluten-free beer suitable for consumption by celiacs. It has received approval from celiac UK, the charity for those afflicted with celiac disease, to carry their license. It is supplied in the famous St Peter’s oval 500ml bottle. Tasting note: Clean, crisp, gluten-free ale with a pilsner style lager finish and aromas of citrus and mandarin from American Amarillo hops. This strong, dark ale pours a mahogany brown with a cream-coloured head. On the nose, chocolate, caramel and toasty malt aromas abound, with a suggestion of mulled wine and plummy fruit sweetness. On the palate this is medium-bodied and surprisingly clean and light, but a whole barrage of burnt toffee, smoke and slightly acrid flavours emerge. There’s a liquoricy edge to the beer, smokiness and grippy finish. ABV: 4.3% A tawny red ale with subtle malt undertones and a distinctive spicy hop aroma from Cascade hops. Ruby Red won a Silver Medal in the 2010 International Beer Challenge. St. Peter's English Ale- Glass 500ML/12ct. St. Peter's Cream Stout - Glass 500ML/12ct. St. Peter's Old Style Porter - Glass 500ML/12ct. St. Peter's Golden Ale- Glass 500ML/12ct. 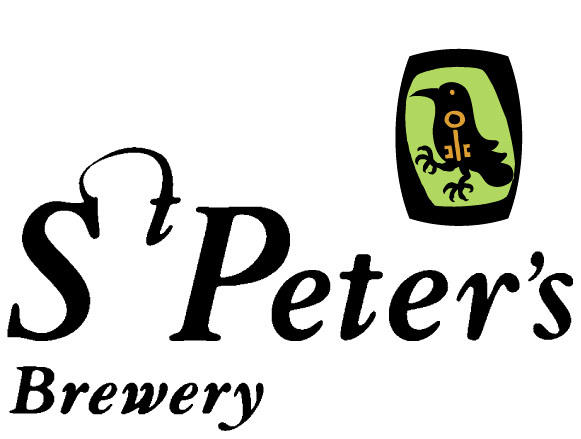 St. Peter's Indian Pale Ale- Glass 500ML/12ct. St. Peter's Sorgham- Glass 500ML/12.ct. St. Peter's Winter Ale- Glass 500ML/12ct. St. Peter's Ruby Red Ale- Glass 500ML/12ct. St. Peter's Sorgham Dark- Glass 500ML/12ct.